Greg Norman 1993 18 72 6966 30 minutes from downtown. Thana City Golf and Country Club’s beautiful layout is enhanced by natural streams, lakes and an abundance of strategically-placed sculptured sand traps. The 3rd, 4th, 5th and 12th holes are all played to island greens, greens which normally are very fast, making the approach and short game a challenge. 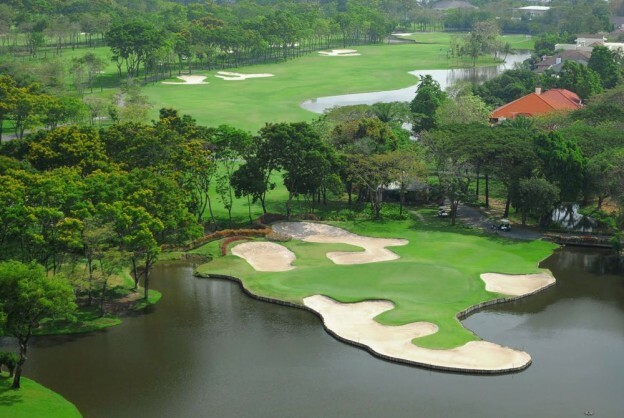 Thana City Golf and Country Club is one of only a few courses in Asia designed by Greg Norman. The golf club has hosted several professional tournaments including the final round of the Johnnie Walker Super Tour 1996 which was won by Ernie Els. The club house dining facilities offers a nice selection of Thai, Chinese, Japanese and Western cuisine.